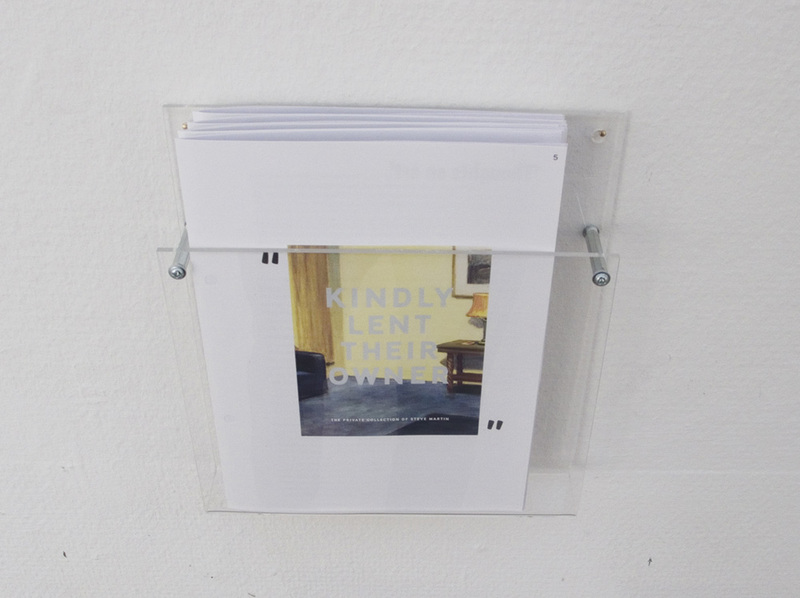 This was a psuedo biographical work, which linked seemingly trivial fragments together into a new critical reading of the person. 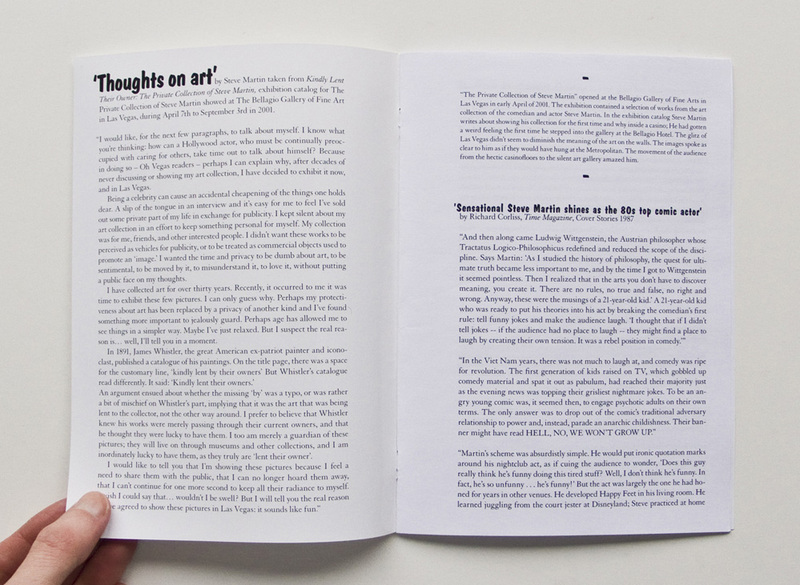 I created a subjective biography based on mediated information. The project’s starting point was the comedian Steve Martin, his art collection and the exhibition catalog and other printed matter that was made in connection with an exhibition of the collection at the Bellagio Fine Art Gallery in Las Vegas in 2001. This was the one time he showed parts of the collection in public. Steve Martin has collected contemporary and modernist painting since he started making money in show business. His collection contain mostly american early 20th century painting but besides that anything from Picasso to Hockney. 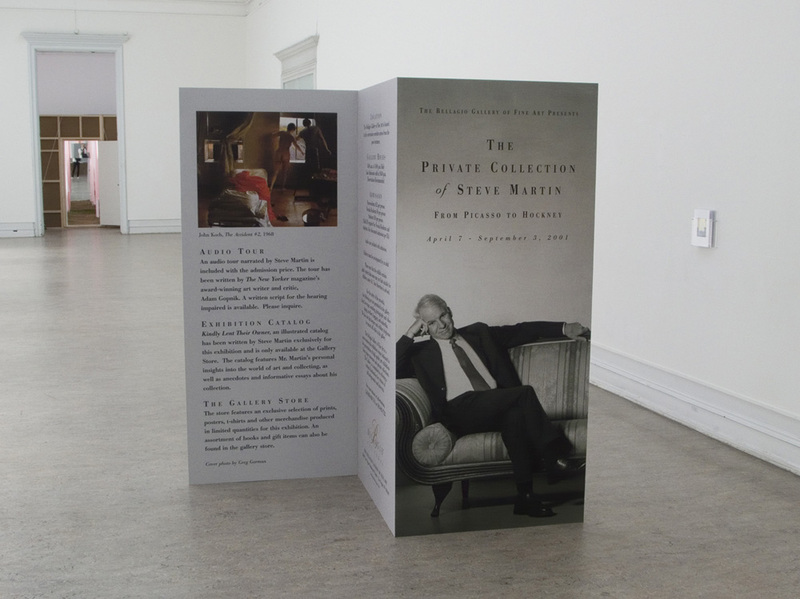 The Private Collection of Steve Martin consists of an enlarged copy of the exhibition flyer and a text that was placed on the wall beside the large flyer. The text is assembled from various quoted texts orginating from books, articles etc. 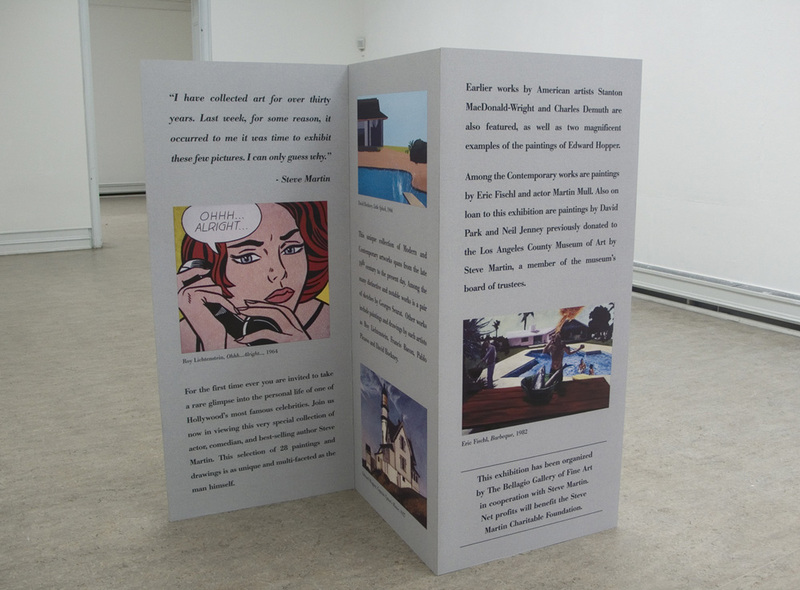 about Martin, his art collection and the exhibition in Las Vegas, mixed with texts written by myself. 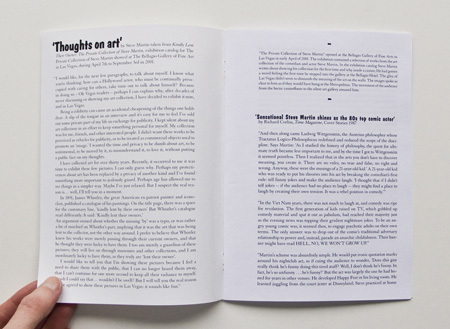 These texts put together shape a story about Steve Martin’s dual thoughts about art and comedy, his attitude towards women, his constant projections of beauty and seriousity upon art, in contrast to his playfulness, manifested for example in his stand up and the childish and lighthearted pranks that in his youth ended up as works of art.